The former two weight champion has recently been linked with a return to the boxing ring against former sparring partner Paulie Malinaggi. Malinaggi has had a long-running grudge with McGregor over released sparring footage and pictures showing McGregor dominating and dropping the retired boxer in exchanges. The former WBA welterweight champion and current Showtime/Sky Sports analyst has slated McGregor at every opportunity since the infamous sparring session in the hopes of building hype in a potential boxing match between the pair. It would certainly be beneficial for Conor McGregor’s bank account to have a boxing match under the ‘McGregor Promotions’ platform but it is the last thing that the former lightweight champion should do next. 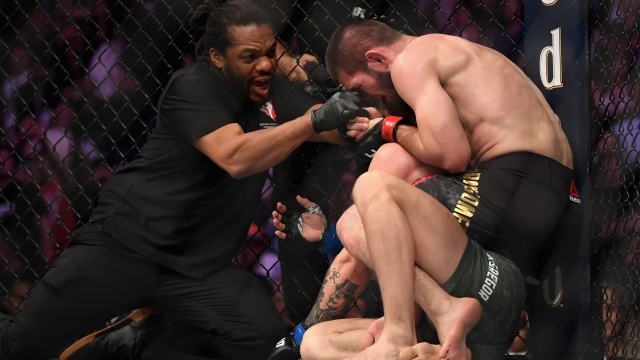 Khabib Nurmagomedov and Conor McGregor have yet to be punished for their involvement in the post-fight brawl at UFC 229 so it is unknown when we will get to see either man back in the Octagon. 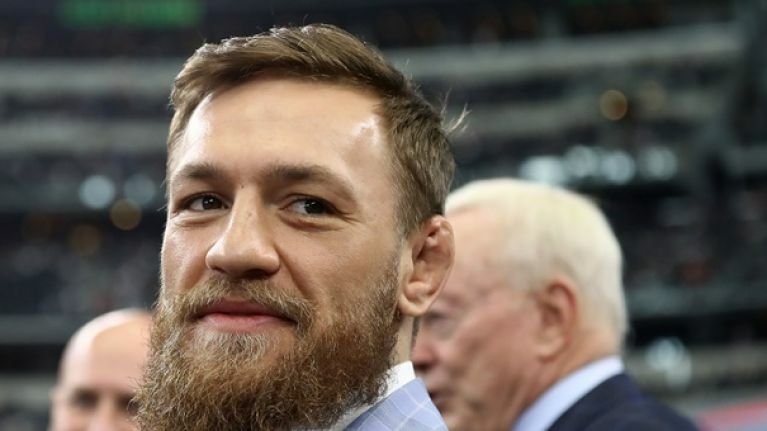 It is expected that they will both be hit with a fine and potentially a suspension from the sport for a period of time but that has not stopped Conor McGregor being linked to multiple fights. 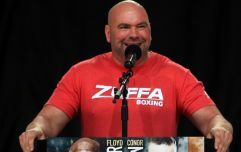 The Irishman has always said he has many options in the fight game and the situation has not changed, even after a defeat where he was dominated for the most part. The obvious ‘money’ fight is the Khabib rematch but it is extremely difficult for the UFC to not grant Tony Ferguson a title shot after the run he has been on. The former interim champion is on a 10 fight win streak and was ruled out of a fight against the Dagestani fighter days before their highly anticipated fight in April due to a freak knee injury. A third bout with Nate Diaz is always on the table with McGregor saying on multiple occasions that they will fight again but the Stockton fighter has not fought since their 2nd fight in August 2016. 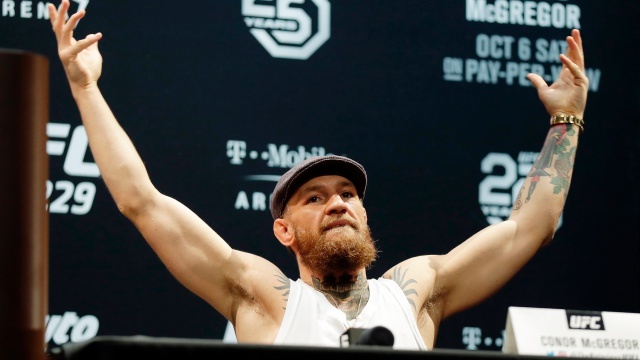 He has also been linked to rematches against Dustin Poirier, Max Holloway, Donald ‘Cowboy’ Cerrone and even Jose Aldo has said he would move up to lightweight to get a chance at revenge to fight McGregor. Conor always felt that he gained very little in another fight with Aldo due to how decisive the first victory was, he also dealt with Dustin Poirier and Max Holloway with ease in both of their fights. 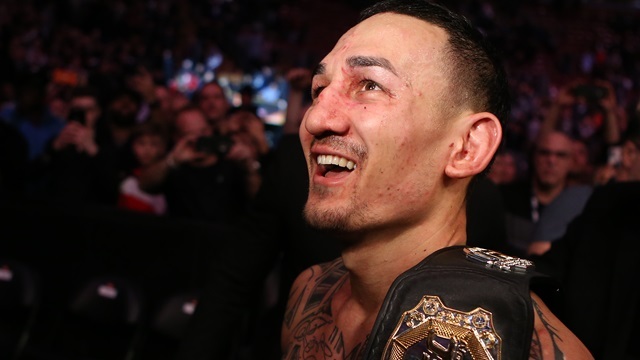 Both fighters have gone on to have fantastic careers, Holloway has become a champion and for many fans he is the best featherweight of all time. Dustin Poirier has beaten three former world champions in his last three fights and is on the cusp of a lightweight title shot. They are certainly interesting match ups but history has shown McGregor has little interest in fighting men he has already beaten. That only leaves ‘Cowboy’ in fighters he has never fought but he is booked to fight Alex Hernandez this weekend at UFC Brooklyn. Conor McGregor does not need to fight again with the money he has made in his career but if he wants to continue fighting it could be hugely beneficial for him to fight a top contender before an immediate rematch with Khabib. If that is still the case, a match up with Justin Gaethje could be the perfect fight for the ‘Notorious’ one. Justin Gaethje is one of the toughest fights in the lightweight division and he is not an easy fight by any means. 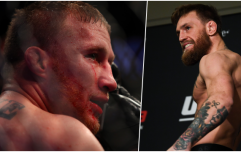 A fight against Gaethje would be a fresh start for McGregor, a chance to prove himself again in the octagon without a belt being on the line or a personal feud outside of the cage distracting matters. There is a lot more fights that McGregor could take that would be better financially but a fight with Gaethje would give the Dubliner a chance to prove he can still beat a world class fighter which would help him build towards a Khabib rematch in the future. For anyone who has not seen a Justin Gaethje fight, you are missing out. Gaethje has been involved in some of the best fights in lightweight history against the likes of Michael Johnson, Eddie Alvarez and Dustin Poirier since joining the UFC in 2017. Gaethje entered the UFC as an unbeaten champion with a record of 17-0 from another organisation, he prides himself on being the most entertaining fighter in the UFC. He is 2-2 in the UFC but every single fight he has been in has been a candidate for fight of the year. His losses came in wars against Dustin Poirier and Eddie Alvarez but they have not damaged his stock because of the heart he shows every time he enters the cage. He is coming off an impressive first round knockout against James Vick, a fighter who was on a four fight win streak. Justin Gaethje is a former NCAA collegiate wrestler but he refuses to bring his fights to the ground. 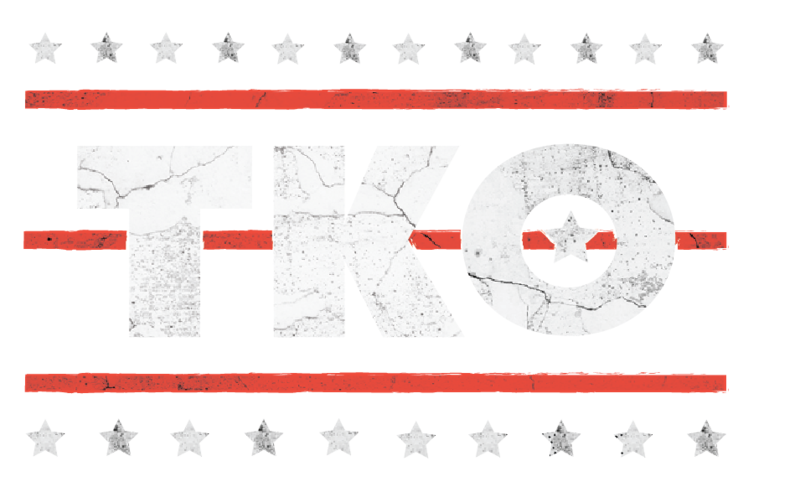 He is of the belief that fans don’t want to see fights on the ground and he prefers to bring them stand up brawls that usually end in someone being viciously stopped. This style has certainly helped Gaethje's bank account, he has received five performance bonuses in four appearances in the Octagon. One of Gaethje’s biggest weapons is his vicious leg kicks which he uses regularly in his fights, his pressure on the feet is relentless and he barely gives his opponents a second to breathe. The main thing McGregor could capitalize on in this fight is Gaethje’s aim to brawl with McGregor. We have only seen McGregor involved in one fight similar to a Justin Gaethje fight and that was the Nate Diaz rematch. McGregor uses his counter punching style effectively to avoid taking as much damage as Gaethje does in his fights. The question is how many clean left hands from someone as precise Conor McGregor could Justin Gaethje take and could Conor McGregor withstand the constant barrage of attacks from the 30-year-old. It is well known that McGregor is not as strong on the ground as he is on the feet, a stand up war with Gaethje is a fight McGregor may relish after the mauling he received on the ground from Khabib. This fight is certainly a left-field choice for Conor McGregor’s next fight but it would certainly be a fight that will entertain the fans. It is doubtful that we will ever see this match up but it would definitely be a fantastic fight for fans to see. From a money standpoint, McGregor has little to gain from this match up but a dominant win against someone of the calibre of Gaethje will prove to the fans that he is still one of the best in the world even after his inactivity and defeat to Khabib. We have to wait and see when Conor McGregor is free to return to combat sports, let’s just hope the next time we see him it is not in a boxing ring against Paulie Malinaggi.